Over summer 2014, A Better Noise & Jetty project’s collaborated to present two summer evening sound and music events around Cone. 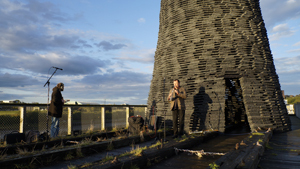 Responding to the structure, the artwork Cone and the history of the Staiths, these two events featured saxophonist John Butcher and harp player Rhodri Davies on the 23rd August and 6th September. Newcastle upon Tyne, NE1 7RU.